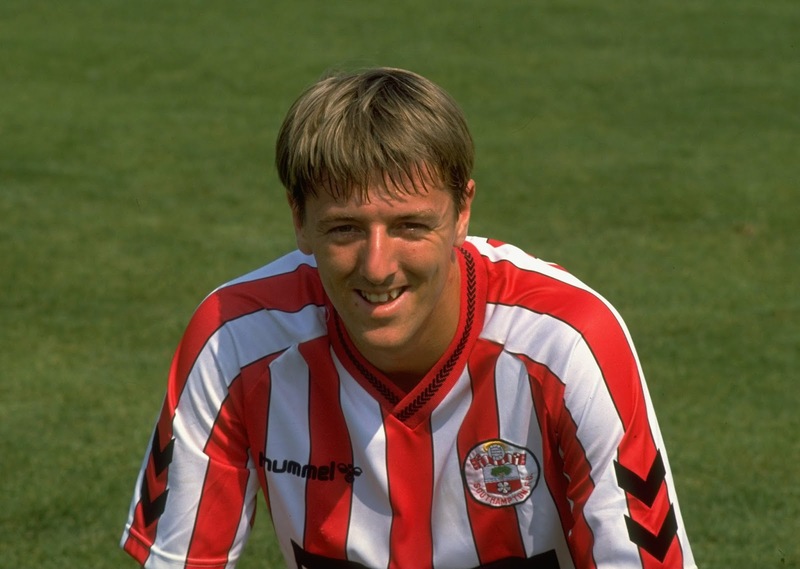 Matthew Le Tissier didn't look anything like the typical professional footballer you see gracing the Premier League nowadays, in fact during his prime in the 1990's he didn't look like many of the players that played then either. Lacking the slim, muscular physique of many of football's top stars, and without the salon styled haircuts of England's finest, he looked more pub league than Premier League, but then if you saw him with the ball at his feet you understood why Southampton fans and neutrals like me revered him so much. Born in the channel island of Guernsey in 1968, the player Saints fans would come to call Le God made his debut for the south coast club in 1986. 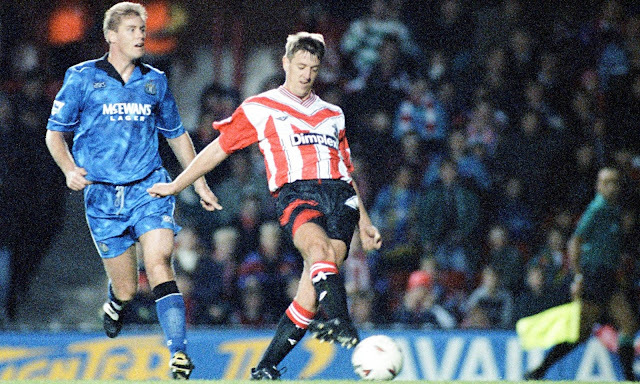 The one club for life man went on to score 161 goals in 443 appearances for Southampton, but he's remembered more for the quality of his goals than the number of them. Appearing to glide lazily across the pitch, in a style reminiscent of the great Brazilian midfielder Socrates, Le Tissier could suddenly burst with pace, dribble past a defender or two and then send the ball rocketing towards goal. 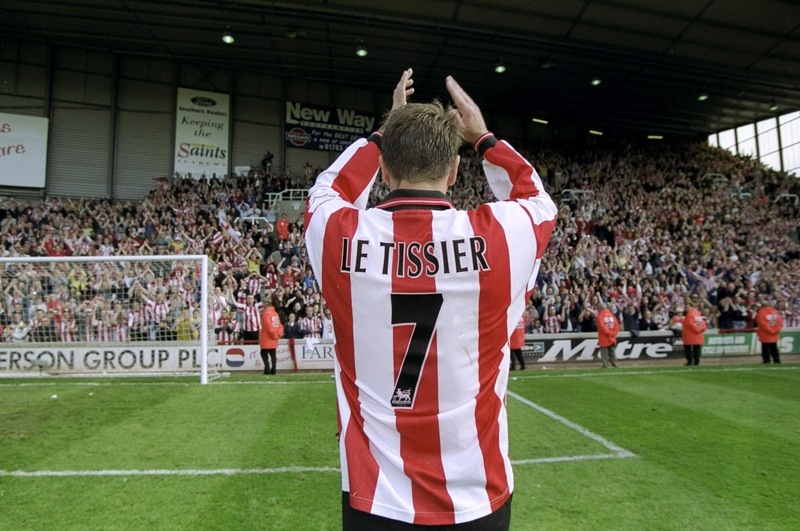 When compiling a list of the greatest goals of the Premier League era, several of Le Tissier's strikes would feature highly. In fact, he probably needs a list of his own considering the number of brilliant goals he conjured up. In 1993 Newcastle United were on the receiving end of two of his moments of genius. His first resulted from the knock-down of a long ball by Iain Dowie. With the ball dropping behind Le Tissier he exquisitely controlled it with his heel and then volleyed it past defender Barry Venison. Surging into the box, he then lifted the ball over another defender before guiding it beyond keeper Mike Hooper. The supreme skill and effortlessness of the finish almost made it look easy. Southampton's attacking midfielder extraordinaire wasn't finished there though, with the match later tied, he brought a headed pass 30 yards from goal under control with his thigh, turned and hammered an 88th minute winner for Southampton into the top corner. Besides these two moments of genius, there were many others including a stunning dribble that culminated in a superlative 40-yard chip against Blackburn Rovers in 1993/1994 which many view as the greatest goal in Premier League history. Despite offers to move on to bigger sides, Le Tissier always stayed loyal to Southampton, despite this and his individualist style of play likely costing him England caps. Considering his talent it's quite incredible that he only played eight times for his country. Football supporters can be odd characters, whereas on one hand you have players slated for a lack of loyalty when they force moves to other clubs, Le Tissier was criticized for his lack of ambition. After retiring in 2002, Le Tissier has concentrated mainly on media work and for his part he holds no regrets over how his playing career unfolded. Speaking earlier this year to the Guardian's Barry Glendenning, Le Tissier said that his dream growing up was to "play football professionally, play for England and just enjoy his football", he was doing all of those things by the time he was 25 years old.